O’Donnellan & Joyce's April auction was a wonderful success with extraordinary results in the auction room for both sellers and buyers. The auction room was packed to capacity with nervous sellers, 39 lots were up for auction with more than 90 per cent of the Galway city properties selling on the day. There was a huge number of happy buyers who felt there was great value in the room last Friday. Sellers achieved substantially more than they had anticipated, with the hammer falling above the reserve price on all lots. Colm O’Donnellan of O’Donnellan & Joyce said: "It was a wonderful auction and I am delighted for all our vendors. There was such a great atmosphere in the room which gave the auction some momentum. And a huge congratulations to our buyers, there was a great mix of first time buyers, investors, and owner occupiers." The highlight on the day was Amarylis, No 34 Rockbarton Road, Salthill, a magnificent property in a wonderful location. This property had a huge number of open viewers and there was clear interest from the beginning. The bidding opened at €550,000, there were three bidders in the room. After 12 bids in increments of €10,000 the hammer dropped at €660,000 to a delighted buyer. No 13 New Street West, Galway was a property of interest for many buyers as it is located in the city's West End. The bidding opened at €140,000 and after 12 bids from four bidders the property sold for €189,000 to a delighted buyer. No 70 Duirling, Roscam, Galway, a two bed terraced house in turnkey condition. The bidding opened at €190,000 and after five bids from two bidders the hammer fell at €210,000. No 48 Gort Greine, Rahoon, Galway, is a three bed semidetached property located just two miles from Galway city centre. The property enjoys a large rear garden and private parking to the front. Bidding opened at €200,000 and after nine bids the property sold for €230,000. No 6 Bru na Mara, Fort Lorenzo, Galway, is a four bed end of terrace property in good condition. Bru na Mara is a hugely popular area and this was clearly evident with busy open viewings. This property attracted huge interest from owner occupiers and investors alike. The bidding began at €230,000 and after nine bids the hammer dropped at €277,000. No 12 Gentian Villas, Knocknacarra, Galway, is a wonderful two bed apartment which was being sold in immaculate condition. The bidding opened at €180,000 and the property sold for €200,000. No 1B Ard Fraoigh, Clybaun Road, Galway, a ground floor two bed apartment in a well-established area in Galway. The property is presented in excellent condition and proved popular with buyers. The bidding opened at €160,000 and after 18 bids from the floor the property sold for €230,000. Kilroy's, Gort, Co Galway, is a well-known property in The Square, Gort. The property includes a licensed premises. There were three interested bidders in the room, with bidding opening at the reserve price of €165,000. After nine bids the hammer fell at €181,000 to a delighted buyer. No 7 Courthouse Square, Clifden, Galway, a first floor two bed apartment located in Clifden. The apartment was presented in good condition and had a lot of interest from investors. The bidding opened at €75,000, the bidding moved in increments of €5,000, the property sold for €120,000. No 1 River Vista, Oughterard, Co Galway, is a one bed ground floor apartment. The property generated plenty of interest from investors and owner occupiers, bidding began at €55,000 and after 17 bids the property sold for €85,000. Apartment 3, No 16 Ballymoneen Road, Knocknacarra, Galway, a two bedroom ground floor apartment located on the Ballymoneen Road in Knocknacarra. Situated within a small complex of only eight apartments with own parking space. The bidding began at €140,000 after 11 bids the property sold at €170,000. Apartment 4, No 16 Ballymoneen Road, Knocknacarra, Galway, similar to No 3, this is also a two bedroom apartment on the ground floor. Both properties had a lot of interest from investors and first time buyers. After 13 bids the hammer dropped at €174,000. No 2A William Street West, Galway, a two bed townhouse being sold with tenants in place. As with all the Galway city properties this and No 2B had a lot of interested parties. The bidding opened at the AMV of €100,000 and after 13 bids the property closed at €140,000. No 2B William Street West, Galway, was offered prior to No 2A and had huge interest. The bidding opened at €100,000 and after 37 bids from the room the property sold for €164,000. Nos 7 and 8 Sweeney Development, Galway Road, Clifden, Co Galway, two townhouses which have been amalgamated into one unit comprising a seven bedroom duplex. The bidding began at the AMV of €65,000, from bidders in the room the property sold for €84,000. Site at Newtowndaly, Loughrea, Co. Galway: This half acre site sold to a phone bidder for €12,000. Lands at Pollinabrone, Ballinasloe, Co Galway: c44 acres of agricultural land dispersed within four separate lots. The lands are suitable for grazing and agricultural purposes. The lands sold for €100,000. No 25 Tarmon Harbour, Tarmonbarry, Co Roscommon: Split level three bedroom mid terrace townhouse with parking to the front. Located within the Tarmon Harbour development and overlooks the River Shannon. The property is being sold with vacant possession. The bidding opened at €130,000, it was between a bidder in the room and a bidder on the phone. After some time the property sold for €160,000 to the phone bidder. No 66 Victoria Place, Castlebar, Co Mayo, three bedroom semidetached property located on the outskirts of Castlebar. The property sold to a bidder in the room for €125,000. Cuiltybo, Kiltimagh, Co Mayo, a four bed detached house nestled in the outskirts of Kiltimagh. The property showed great potential and had a number of viewers. The property sold on the day for €50,000 to a delighted buyer. No 9 Station View, Kiltimagh, Co Mayo: A three bed semidetached house located in the village of Kiltimagh. The house was presented in good condition. There was a number of interested parties with an AMV of €80,000. The property sold for €89,000. Sinolane, Kilmovee, Co Mayo: A derelict house and 2.5 acres of land located on the main Kilmovee to Knock road. The property attracted great interest and sold for €30,000. No 9 Carrownakilly Quay, Killaloe, Co Clare: Three bed mid-terrace self-catering cottage. 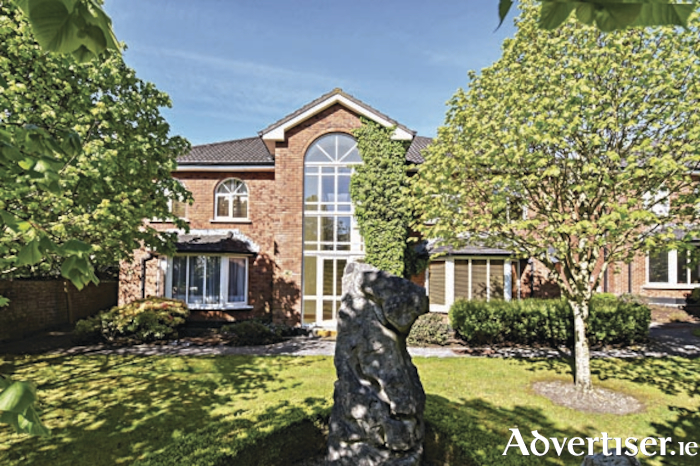 Located in a tranquil rural setting and only 5km from Killaloe. A wonderful property that sold for €60,000. Lands at Ballycorrigan, Killaloe, Ballina, Co Tipperary: c32.5 acres of irregular shaped agricultural lands which are of good quality and suitable for grazing purposes. Folio no TY51069F. With a lot of interest, the lands sold well above the AMV at €80,000. No 10 Coastguard Station, Moyville, Co Donegal: Three bed terraced house offering unrestricted sea views. Situated in a block of seven properties, this is a listed building constructed more than 150 years ago and renovated approximately 10 years ago. The property sold to a phone bidder for €77,500. Lignanoring, The Derries, Ballintra, Co Donegal: Modern four bedroom detached residence in a rural setting approximately 16km from Donegal town and 3.4km from Ballintra. The bidding opened at €90,000, there was a bidder in the room and a bidder on the phone. The gavel fell at €122,000, with the bidder in the room being successful. There were two properties sold prior to auction, Glenanail, Tuam Road, Galway and No 31 Ardilaun Road, Newcastle, Galway. The O’Donnellan & Joyce team have already started working on their next auction which will be launched on May 10, with the auction taking place on June 10 in the Harbour Hotel, New Dock Road, Galway. If you are thinking of selling by auction contact the auction team on (091 ) 564212 or email [email protected].